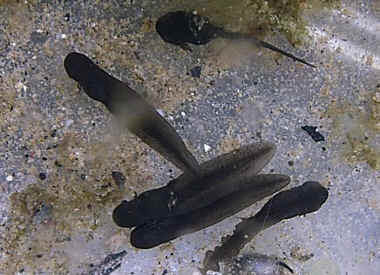 1st April - The tadpoles are now free swimming and their mouths are open. To begin with, they eat plant material and take in oxygen from the water through their gills, visible on either side of their bodies. Their size slowly starts to increase.